Today on the blog, we have the fabulous wedding of Margaret and Tom, of which we provided wedding videography for in the beautiful North Yorkshire countryside and Bolton Abbey Estate, which was followed by their reception at the Priest House, Barden Tower. Steeped in History, Margaret and Tom were married at the stunning Priory Church, which is surrounded by ruins of a former Augustinian priory. This Church is nothing short of stunning and provided a beautiful backdrop for the wedding ceremony and looked great on film. We were actually very lucky and extremely thankful, to be one of the first wedding videography companies to be able to film in the Church for a very long time. Unfortunate past experiences, coupled with the solemn nature of the priory, had meant that wedding videographers were not permitted to film in the Church on previous occasions. However, we liaised with the Vicar in great detail about how we presented ourselves and worked as a company and fortunately were granted the opportunity to film. Of which we were delighted for Margaret and Tom, as initially it didn’t look like we’d be able to film any part of their ceremony. Needless to say, in the end it their ceremony came out fantastically and was beautiful to film. The in Church choir being a particular highlight. Following the ceremony at the church, the couple moved on to their wedding reception at the beautiful ‘The Priest’s House’ Barden Tower, which is a gorgeous little venue that has converted an Old Chapel within the Barden Tower ruins. Again, what a stunning location to be able to film and to provide the backdrop for the wedding reception. It was surrounded by gorgeous countryside and even the on-off rain couldn’t put a stop to it’s beauty. Towards the end of the evening, the sky’s were lit up with a beautiful and enormous rainbow and we couldn’t help but think it was Margaret’s father, who she had unfortunately lost a few years ago, looking over the wedding day and showing his joy at what had taken place. It was stunning. 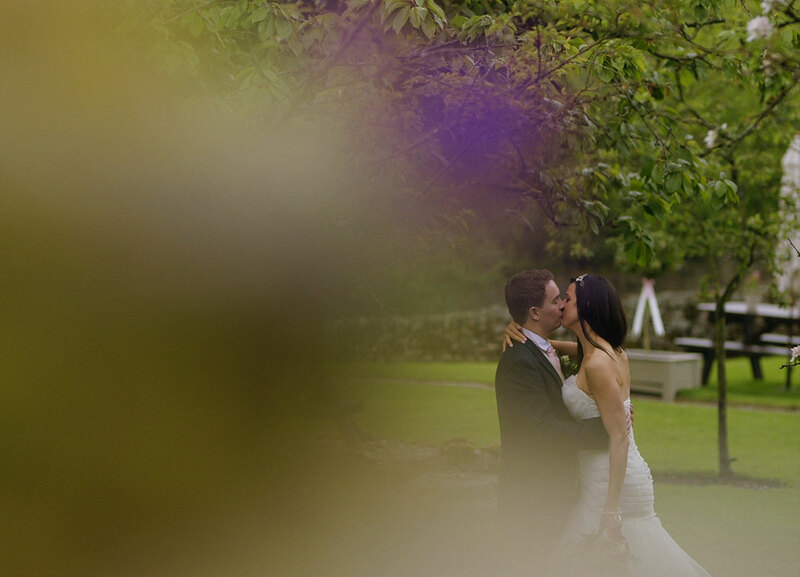 We wish Margaret and Tom the best for the future and it was a pleasure to provide their wedding videography.